MorganStanleyGate: Letter To Morgan Stanley's Board of Directors & Management On How . . .
Letter To Morgan Stanley's Board of Directors & Management On How . . . The unlawful atrocities Morgan Stanley has committed against me and my loved ones over nearly 12 years have been vicious, unrelenting, and something few could fathom EVER occurring in the United States. Under no circumstances should "We The People" tolerate the existence of such a malicious financial institution. It is NOT too big to fail. As a former insider and current target of its wrath, I believe Morgan Stanley is a criminal wolf organization, cloaked in the sheep skin of a “respected” bank and certainly too dangerous to exist as a going concern. Notwithstanding, your response to the restitution sought herein will either affirm or refute this damning assessment – but know that ignoring this communiqué will be a resounding affirmation. As you know, had Morgan Stanley not been bailed out with $107 billion in tax payer monies (of which only $10 billion was approved by Congress in the $700 billion TARP bailout in 2008), this bank would most certainly NOT EXIST TODAY. And since JPMorgan Chase & Co. is now playing perhaps an unwitting complicit role (described herein) in the latest phase of this vicious criminal assault, its Board of Directors and senior management are also being apprised, along with relevant others, as this MUST be exposed and stopped! Ironically, I was an investment banking executive for nearly a decade at these sibling spinoffs of the "House of Morgan" (I spent 3 years at JPMorgan, which was followed by 6 years at Morgan Stanley), and during each tenure, I created substantial incremental shareholder value. Now allow me to briefly indulge you with more about me, offer particulars on the nature and extent of Morgan Stanley’s criminal assaults which CONTINUE TO THIS DAY, review JPMorgan Chase’s current role and outline the restitution I am seeking, because, simply put . . . enough is enough. At JPMorgan (prior to its merger with Chase Bank), I founded its Commercial Mortgage Backed Securities ("CMBS") business, established the most impressive strategic alliances in the industry and ran its CMBS conduit, which was ranked #2 in related industry league tables when I left as its Chief Operating Officer. As Executive Director at Morgan Stanley, I restructured and ran its CMBS conduit, increasing its business fivefold, a #1 industry ranking in CMBS, and created the most successful proprietary brand of CMBS, the IQ® (Representing "Institutional Quality") Brand. The franchises I founded or revamped at JPMorgan and Morgan Stanley are today worth billions. 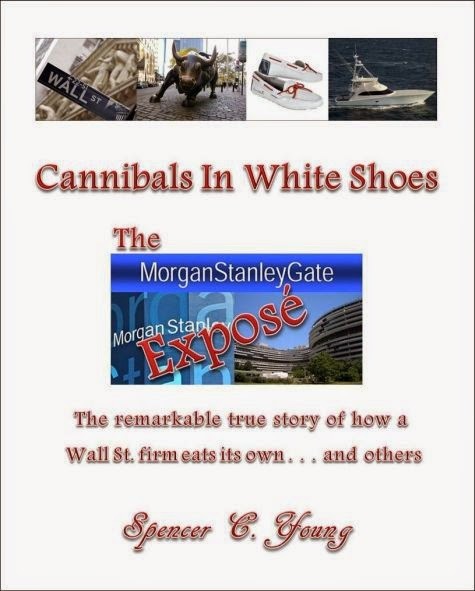 One element of Morgan Stanley’s fury is, how they destroyed my career and denied me a livelihood despite my pedigreed credentials, including going to outlandish lengths to prevent the publication of my book about this scandal: Cannibals In White Shoes – The MorganStanleyGate Exposé: The remarkable true story of how a Wall St. firm eats its own . . . and others. Instead of being justly rewarded for my most productive year, Morgan Stanley diabolically sought to destroy my life, family and career with an audacious employment fraud and smear campaign in November 2002. Not surprisingly, those who instigated this assault later played leading roles in causing The Great Recession, including a reported $10 billion loss (it was actually much higher) in subprime mortgage trading, which sent Morgan Stanley into a financial tailspin. Such recklessness would have surely resulted in Morgan Stanley’s demise without the TARP bailout. Their names are John Westfield, Tony Tufariello and Warren Friend – and they were each fired as a result. This opening salvo of Employment Fraud in 2002 and ensuing Career Destruction was then followed by TWELVE YEARS of criminal assaults sponsored by Morgan Stanley to cover-up its ever-mounting crimes, which dwarfed the initial misdeed, much like in the infamous Watergate scandal. For this and other reasons, this scandal is aptly coined “MorganStanleyGate”. On Friday, September 26th, I received a call from JPMorgan Chase ("JPMC") advising my account was garnished by a phony paternity claim from a distant state (over 1,000 miles away) with no jurisdiction, on behalf of a felon (Leah Krier), for a child that is NOT mine – this is indeed preposterous. 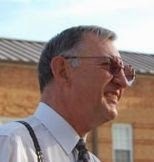 Judge Ron L. Svaty in rural Kansas, a state where NONE of the parties in this sham EVER had ANY form of residency during the life of this child. Svaty was provided FIFTEEN readily verifiable sources of uninterrupted residency in the state of North Carolina for ALL relevant parties. This proved beyond all doubt that Kansas has no jurisdiction whatsoever in such a matter pursuant to operative law, which also specifically forbids “jurisdiction shopping” which this fraud most certainly is. Due to his role in this paternity fraud, Svaty was named in a Federal "Color of Law" indictment filed in SIX states, as the intent of his absurd abuse of authority is to cover up Morgan Stanley’s extensive involvement in fraud, racketeering, extortion, corruption, sabotage, and even assassinations. While I offered website links evidencing this garnishment as a fraud, the JPMC representatives I spoke with were unhelpful and rudely hung up on me. Their response reminded me of stories my father (a prisoner of war during World War II) told me about the Nazis who shot POWs in the head during their notorious WW II “Death Marches” because they were "just following orders". There needs to be a point where moral standards and common sense trump authority, most especially when so obviously corrupted, as with Svaty. To JPMorgan Chase: At a minimum, no action should be taken on this fraudulent garnishment orchestrated by this criminally wayward judge until the aforesaid investigations are completed -- otherwise, JPMC's participation in this reckless and intentionally pernicious action will be construed as aiding and abetting felonies, and thus also culpable. Cooperation in the Federal Color of Law Indictment. Importantly, I want some good to come from this horrific 12 year nightmare, so much of my reinstated net worth and other monies received in the resolution of MorganStanleyGate will be used to help others similarly victimized -- for at many junctures throughout this trying ordeal, it became clear I am NOT alone . . . but I am certainly well-qualified and highly motivated to do something meaningful about this detestable instance of banking abuse.